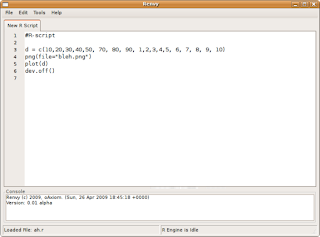 Renvy 0.1, in its most basic form is usable. It will load and save R scripts, and you can run them. Plenty of things to do, it only deals with single tabs, no cut copy paste, no undo redo, no syntax highlighting or other nice bells and whistles. Economics - China and the reserve currency.